Take your first look at the teaser trailer for the upcoming dance movie “Battle of the Year” which has just been released by Columbia Pictures. "Battle of the Year" stars Josh Holloway and recording artist Chris Brown. The film is set in the world of B-boying – the urban dance more commonly known as “breakdancing” and the premise centers on the intimate stories of an all-star American dance crew who try to reach their dreams despite being misunderstood by society and even their own families. Their lives collide in France where their skills are put to the ultimate test: the “Battle of the Year” finals, with crews from 18 nations vying for the title of World Champion. It's pretty weird that a guy from lost will be coaching a dance team but hey, this may just surprise us. Catch the trailer after the jump. 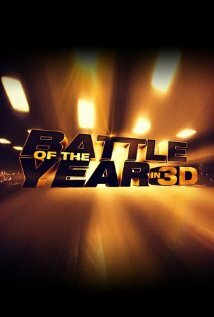 Opening soon across the Philippines, “Battle of the Year” is distributed by Columbia Pictures, local office of Sony Pictures Releasing International.